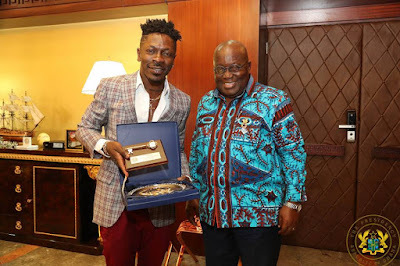 African Dancehall King, Shatta Wale known in real life as Charles Nii Armah Mensah chalked some bragging rights having received an invite from the Honorable President of Ghana, Nana Akuffo Addo. Since his visit, other colleague artistes in the showbiz scene has also made known their desire to meet the President. 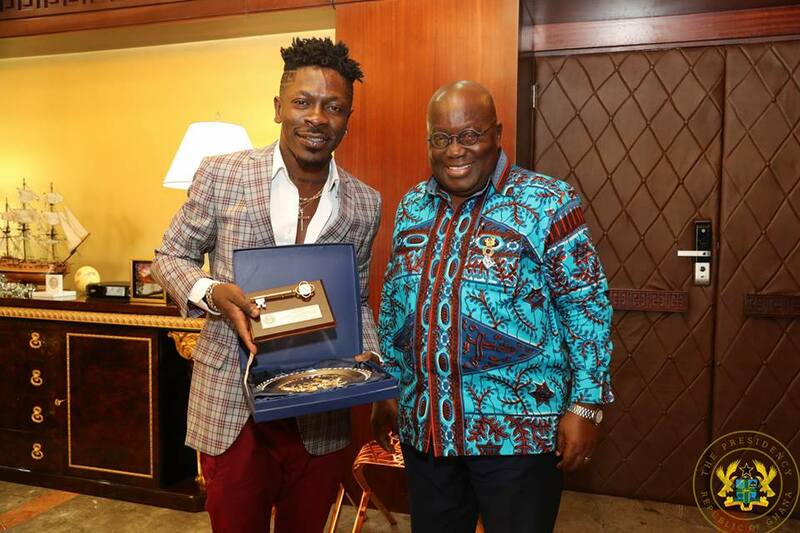 However, Shatta Wale is describing their actions as one of dump people. According to him, his colleagues sending messages wanting to also be invited to the seat of Government makes it look as if the President has nothing really important to do. 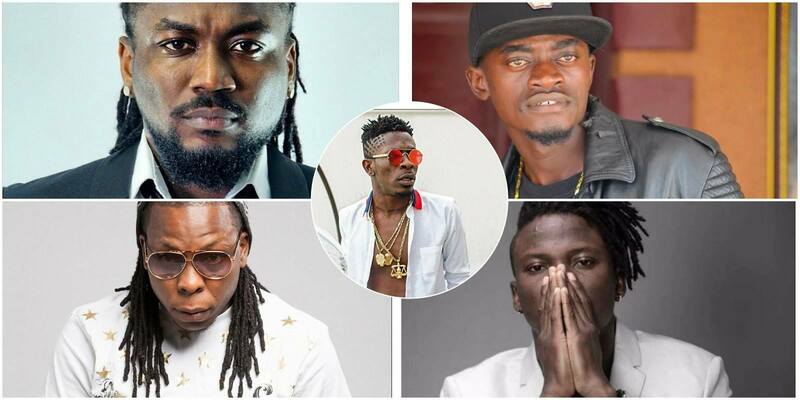 Shatta Wale’s comments come from Stonebwoy, Samini, Edem, Kwadwo Nkansah Lil Win and other top Ghanaian artistes sent messages across all social media platforms seeking an invitation from the president. “That’s so dumb… Don’t see the President as someone who has nothing doing. May be he had time for me so don’t put that pressure on him that he should also invite you. 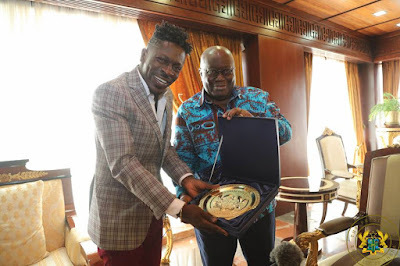 You’re nobody to the president and I’m also nobody to the President.” He told Gattuso on Aben Wo Ha show on Kasapa FM. 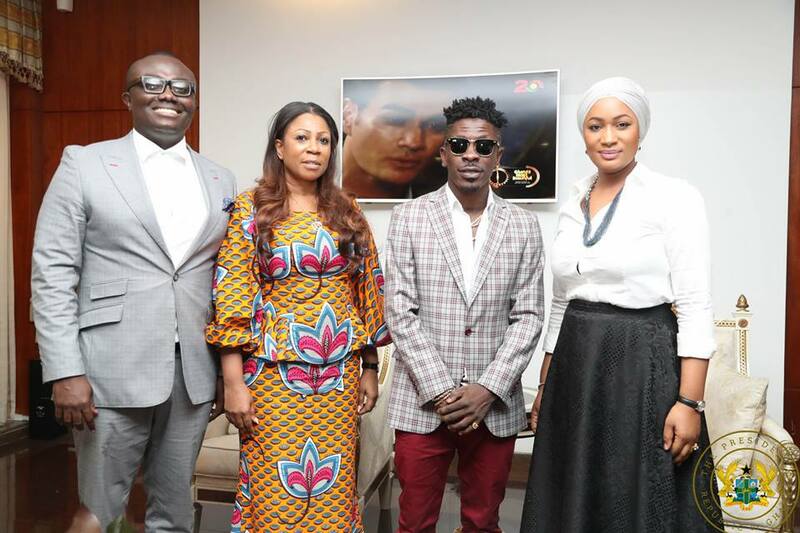 According to the ‘Taking Over’ hitmaker, the official arrangement to meet the President was well documented and executed by the Chief Executive Officer of Excellence In Broadcasting Network (EIB), Nathan Kwabena Adisi popularly known as Bola Ray. “Section of the public criticised the president for replying to my message with in pidgin language but I found nothing wrong with that. The day he (President) replied to my tweet on my birthday, I was really surprised, I said to myself that wow this man is really good and knows what he’s about. 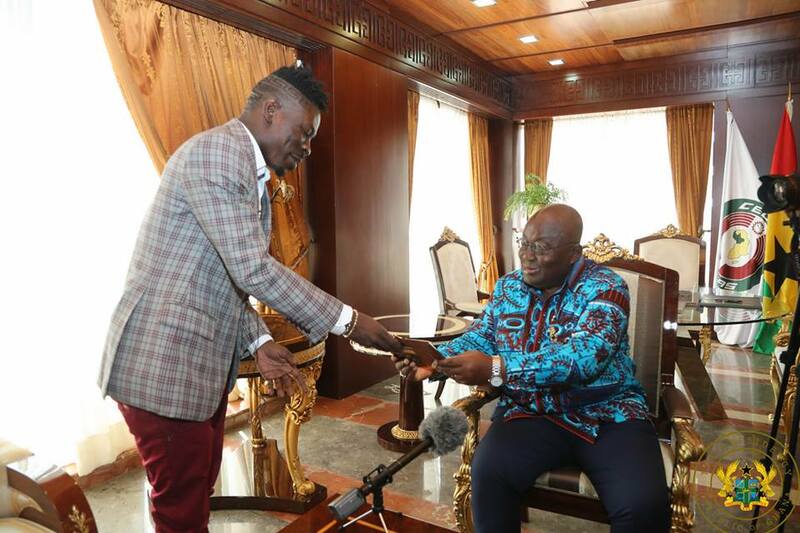 “I called my ‘daddy’ Bola Ray to help me with the documentation to visit the Flagstaff when the President called me on phone. I told Bola that this is too big because I’m an artiste so I’m not good with documentation. God being so good we visited H.E. Nana Addo. 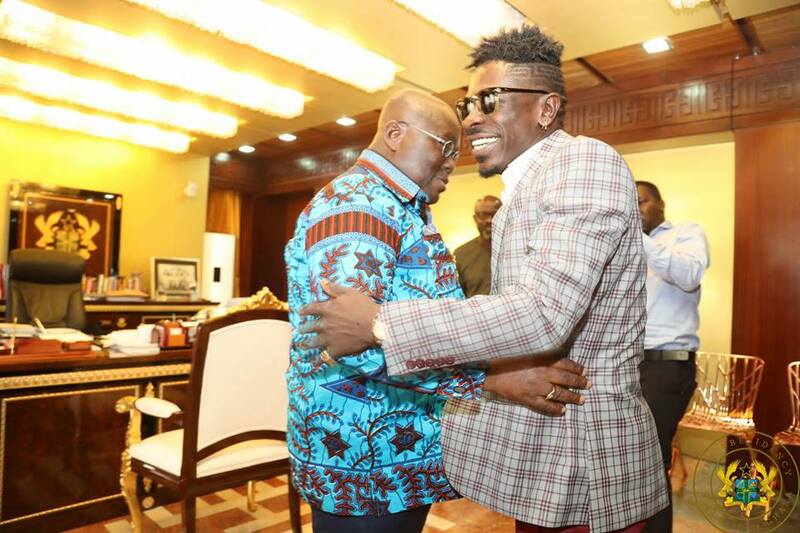 The president knows that Bola Ray is instrumental when it comes to Ghanaian music.” He said. The ‘Kakai’ hitmaker received a gift from the President, when he visited the seat of government on Wednesday. Present at the meeting were Kwabena Anokye-Adisi (Bola Ray), Chief Executive Officer of EIB Network, and Samira Bawumia, wife of the Vice-President, Mahamodu Bawumia.